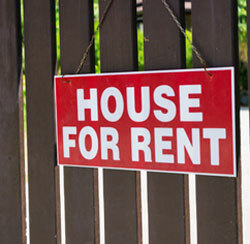 It’s best to live near your rental property. This allows you to check in on things, within the parameters of your rental agreement. It also allows you to prepare and show the property when it is time to rent it again. If you can’t live near your property, you can engage a property management company to be your on-site representative. Know the law. Both landlords and tenants have responsibilities under the law. Federal laws cover things like non-discrimination, and state laws usually cover things like handling of security deposits, notice required for you to enter the property, etc. Read and understand these laws, and provide copies to your tenants. Also make sure your lease is clear about things like who mows the lawn or shovels snow, when the rent is due, rules on having pets and/or guests, etc. Know how you plan to make sure the rent is paid on time. Trulia suggests that landlords should have a good relationship with tenants. But that should not include letting the rent slide, because then you can end up without the money you need to pay the mortgage, taxes, etc. It’s best if tenants and landlords both understand their responsibilities and then fulfill them. Screen your tenants. Start with a credit check, to make sure that your tenant will be able to afford the rent. Then check with previous landlords to see if there were any issues with a potential tenant. It takes some extra time, but it takes a lot more time to try to get rid of a tenant you should not have accepted in the first place. Customize the lease. You can find a standard lease online, but then make any changes you feel necessary. And be specific. For example, if you allow pets, specify what kind, how many, what happens if there is pet-related damage, etc. Inspect regularly. Start by taking photos before the tenants take possession. Then, especially with new tenants, check back in three months to make sure they are keeping up the property. Write that into the lease, as well as the action you can take if the property is not being cared for. Don’t have unrealistic expectations. Being a landlord can be a lot of work, and it is not likely to make you rich unless you own lots of highly desirable properties. You must pay the mortgage and taxes, as well as upkeep and repairs. You can save some money by doing some work yourself, if you are handy. But you still will have expenses and hassles. On the other hand, you are working for yourself and meeting lots of interesting people.